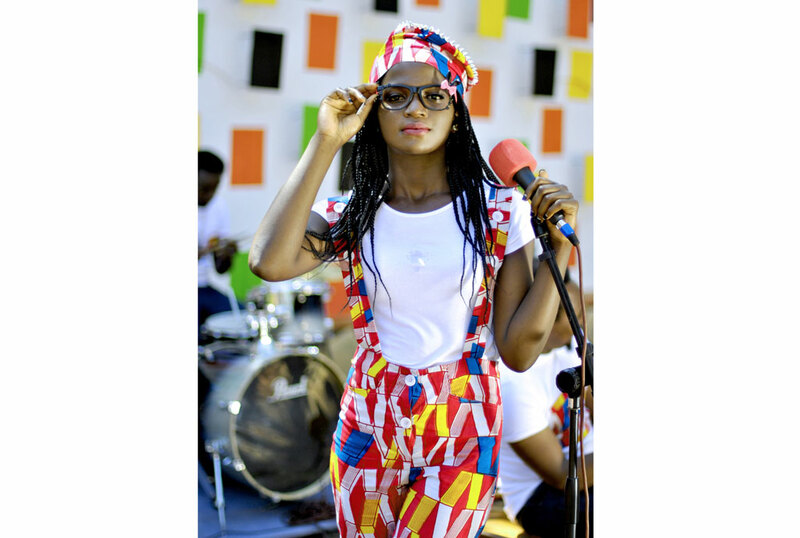 GOING PLACES: Shifah Musisi is a singing fashion designer. In the seven years she has been around, she has had a European tour and is expecting to release her second album this year. A Ugandan singer, songwriter and fashion designer. I hail from Kapeeka in Luweero District. When did you start doing music? As early as 13 years, but professionally I started with Marisha Band seven years ago. How many instruments can you play? Two. The guitar and piano. What kind of music do you do? I do not like to tie my music down to a specific genre because I normally fuse genres but I like to call my music mainly Afro-soul. My parents, though they are no more. They believed in me. I am also inspired by the beauty of nature. If you had a chance to work with an established artiste, who would it be? In Uganda? Madoxx Ssematimba because he has a great voice and has inspired me. Internationally, Sade. What else do you do apart from music? I am a fashion designer. I love to make African outfits and I have a fashion house called Marisha Designs. What has been your worst moment during a performance so far? There was this time I was on stage and the music system faltered, all the microphones went off. I tried to make myself strong but I was embarrassed. Those are many; I do not really have a particular best because every time you perform for people and they start singing along, it feels special. However, the ‘Upclose concert probably tops the experiences. Can someone get rich from doing music? Absolutely. Music can be a lucrative business if you get the production, distribution and marketing right. It is just like any other business; you have to work hard at it. Do you have stalkers? If so, how do you deal with them? [Laughs], I do not have any stalkers. Just fans. I have just finished the Dark and Happy Times album so now it is all about getting the music out there and I then can think about making more music. Which producers have you worked with? On the Olugendo album, I worked with Allan Okio, Sam Bisaso and Legend P. The Dark and Happy Times album was produced by the legendary Michael Fingaz. What sets you apart in an industry where everyone is almost doing the same thing? I have a unique sound. My music is different, it is a fusion of soul music with the distinctive African sound and with my unique voice, I believe no one else offers the listener what I do. They say women never disclose their age, I agree. What challenges do you face in the industry? The kind of music I do is different, especially to the Ugandan listener. It is not dancehall or reggae, which just about everyone does so sometimes it is hard to get the credit you deserve because maybe your song will not play in a club but those fans who get it enjoy it. What advice would you give to those who would love to pursue music? To my fans, thank you for loving Shifah Musisi, your love is what keeps me going, it is what motivates me to go to the studio and keep doing what I do. To anyone out there who wants to become an artiste, more than just being talented or having a beautiful voice, you have to work hard, treat being an artiste as just any other business or career — give it your all. Uhhhmmm, I like to keep that part of my life private. So, pass. What is that one thing no one knows about you? I have acrophobia (extreme fear of heights).